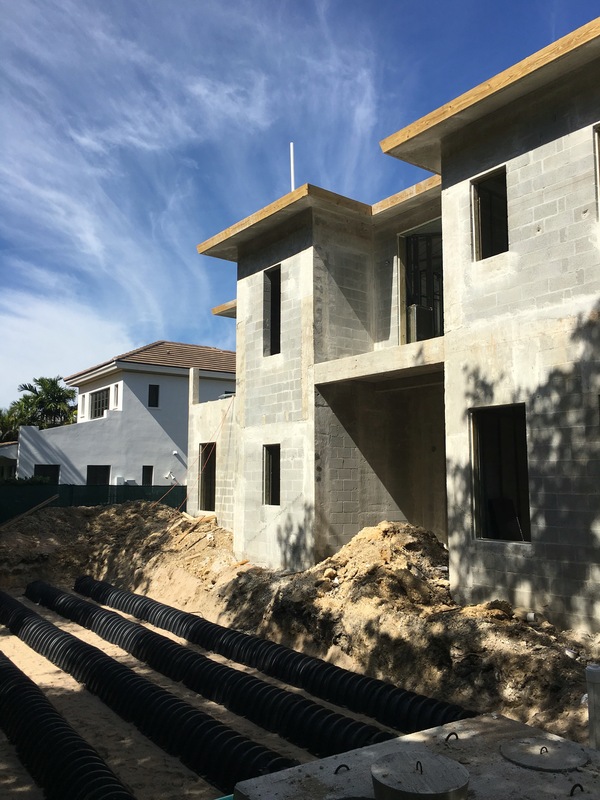 Coral Gables home construction progress…by S.E.A. Drainfield going in. 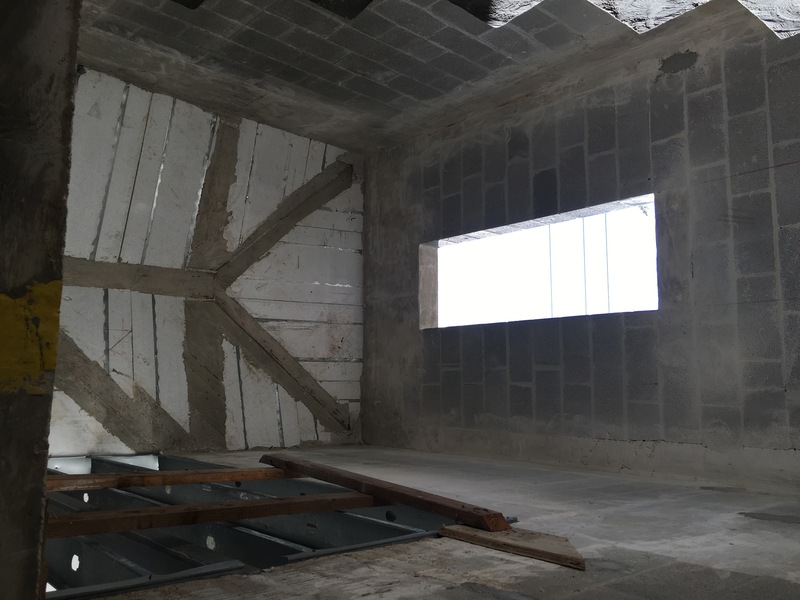 Insuldeck roof completed and second floor framing ready for inspections. Structural underside of i suldeck roof in stairwell. Amazing light space. Design by Sebastian Eilert Architecture.